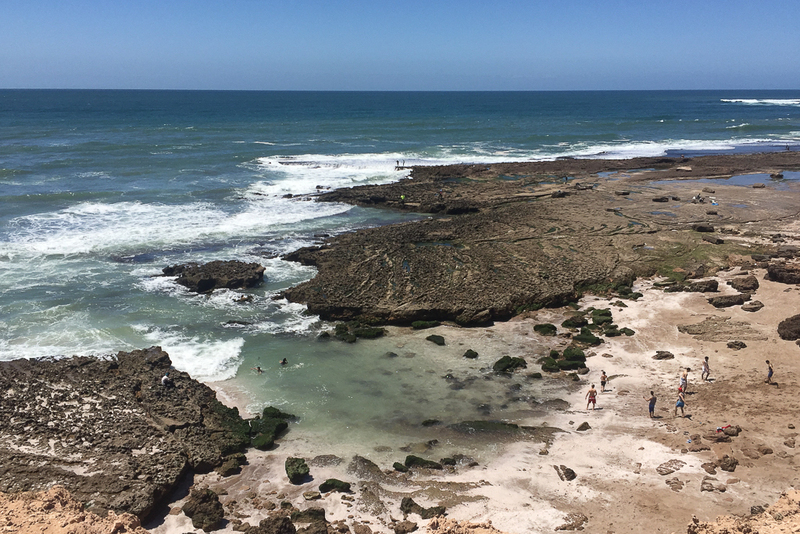 If you are vacationing in Agadir, DO venture out of the city and discover the area around it to make the most of your stay in Morocco. 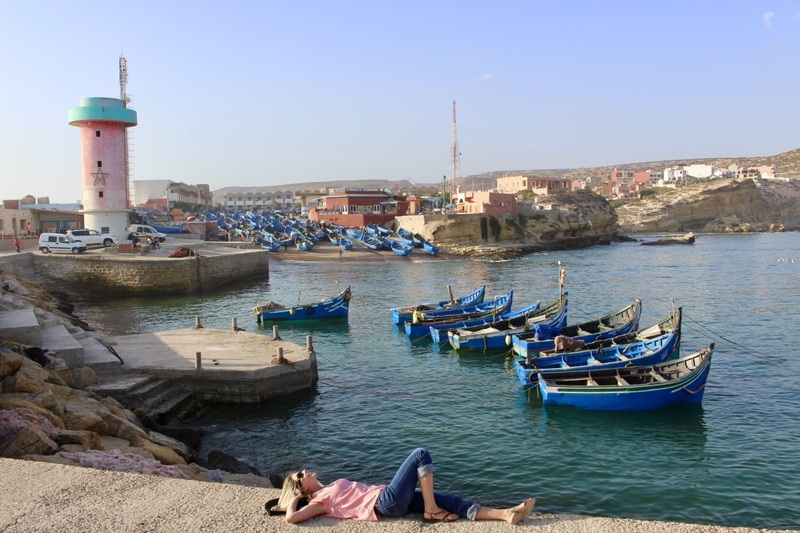 There are plenty of secluded beaches, fishing villages and Berber towns in the vicinity offering perfect 1-day escapes. 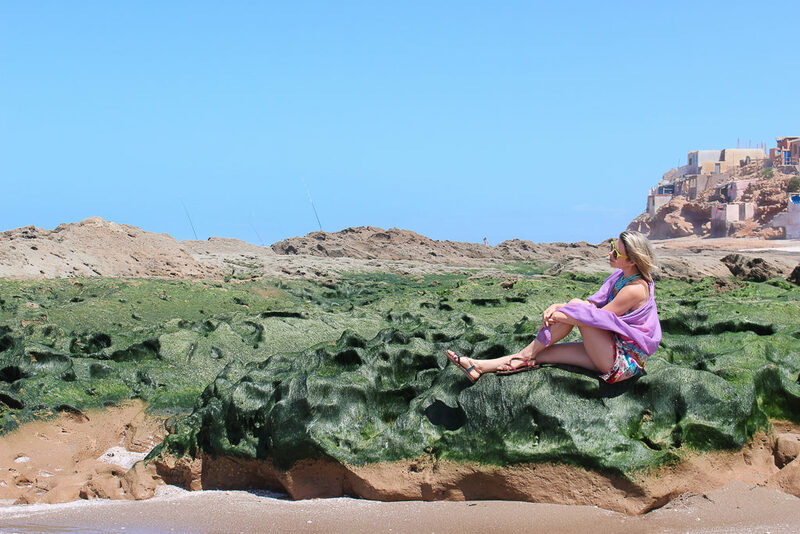 Here are my 6 favorites, which I encourage you to explore! 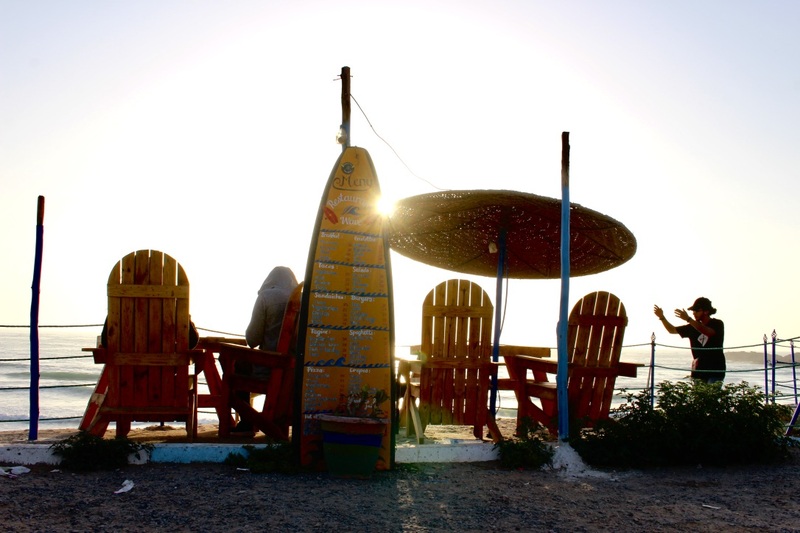 Imsouane is the coolest surfing village between Agadir & Essaouira. 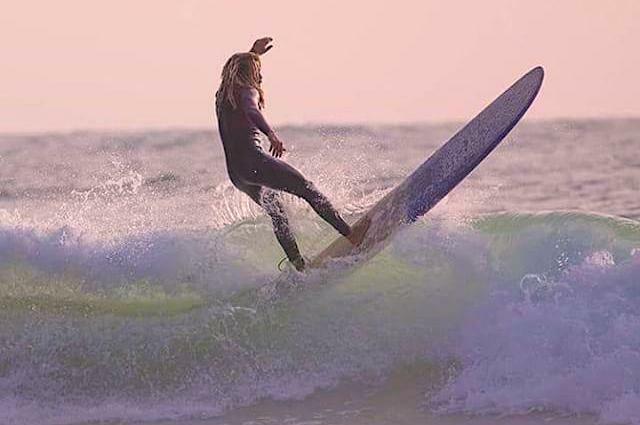 Two things in particular make it stand out: (1) its spectacular sheltered bay with long smooth waves, which makes it an excellent spot to learn to surf; and (2) its super chilled vibe. 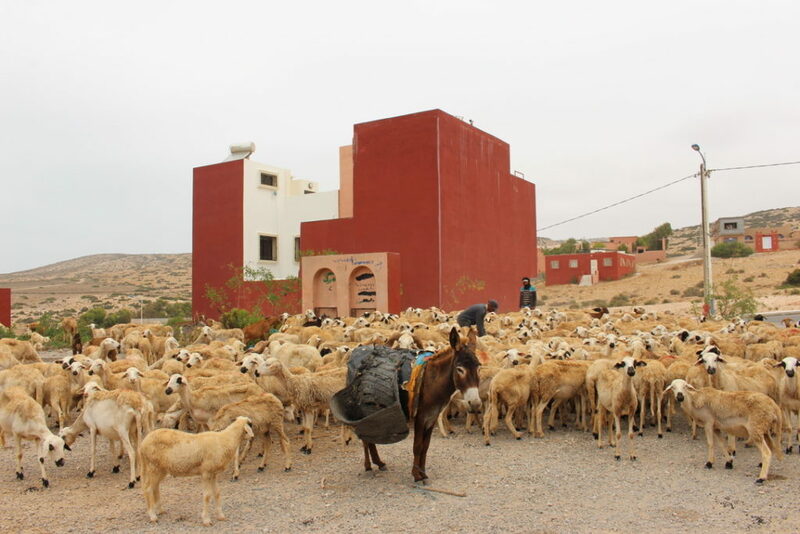 The village is very safe (even street dogs are tagged and vaccinated here) and has an authentic feel about it. 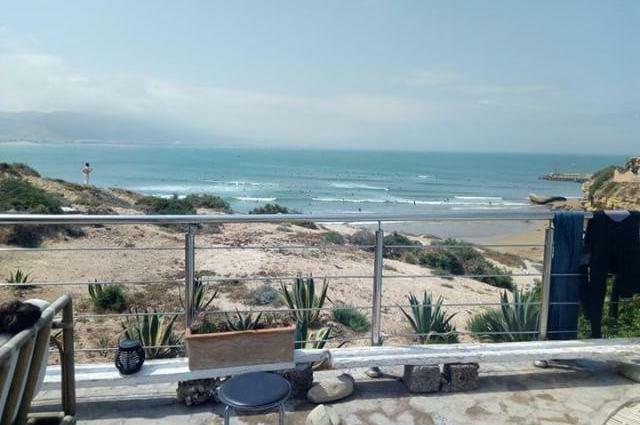 Imsouane has several eating joints with good food and amazing views. 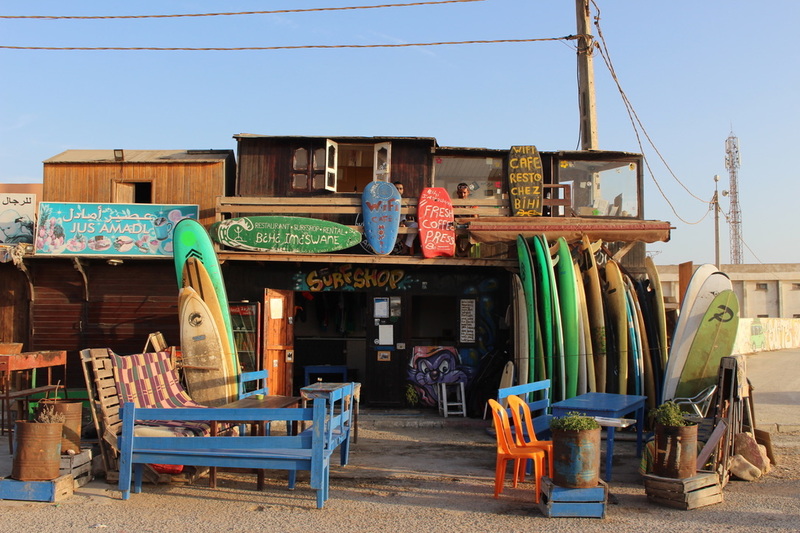 My personal favorite is Olo – a surf shop/surf school/B&B/restaurant with a great ambiance and hip surfer crowds. 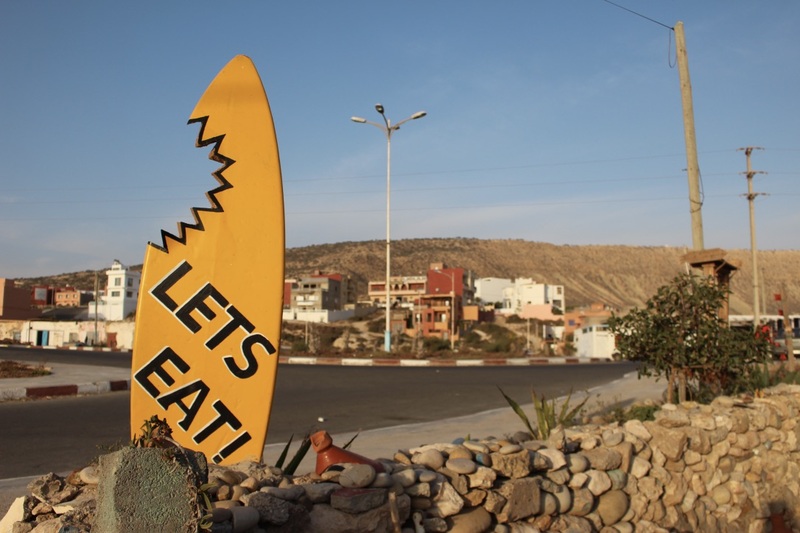 It’s also likely the only place in Morocco that serves breakfast on the morning of Ramadan (think Xmas day). The fish market is also great and ridiculously cheap. You could literally survive on $1/day if you committed to eating fish only. 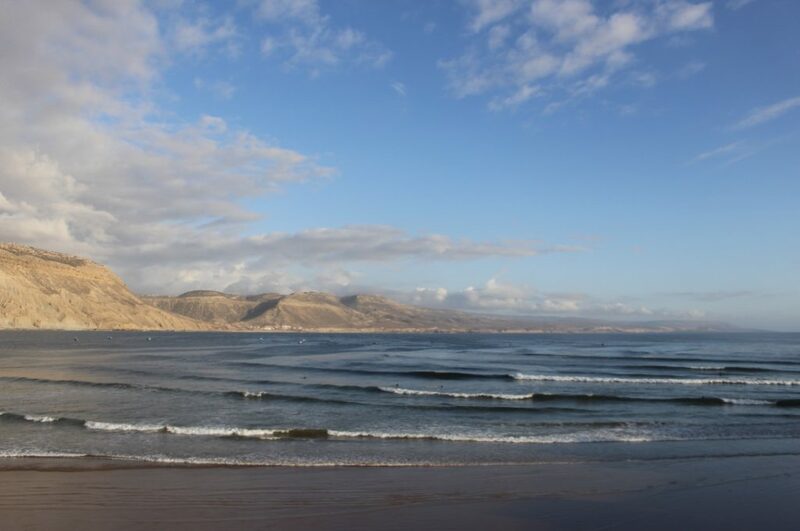 Imsouane should be on top of your list even if you are not a surfer; if you are – it’s a must! 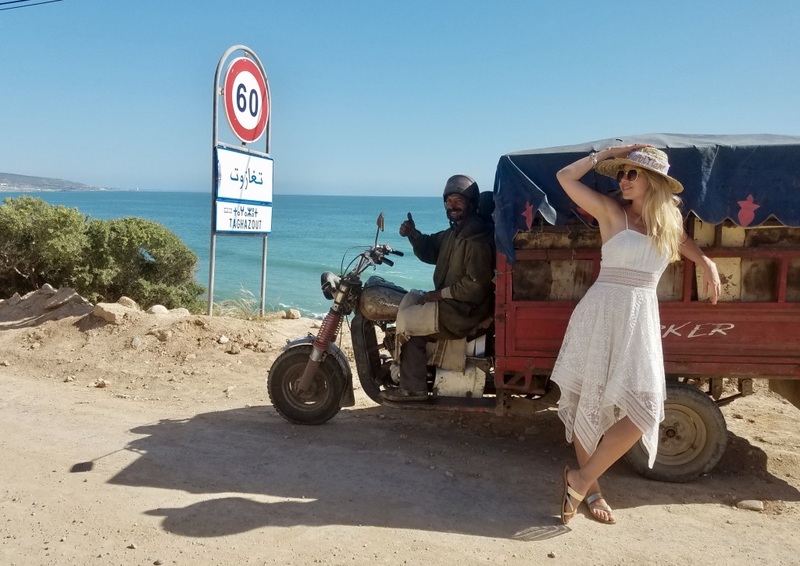 If you don’t have a car and don’t feel like splurging on a taxi ($50-$100), you can catch a grand taxi (it may take a while for the taxi to fill up) or a bus en route to Essaouira (negotiate with a bus driver to drop you off at the turn off to Imsouane in advance and catch a taxi/ride to the village from there). 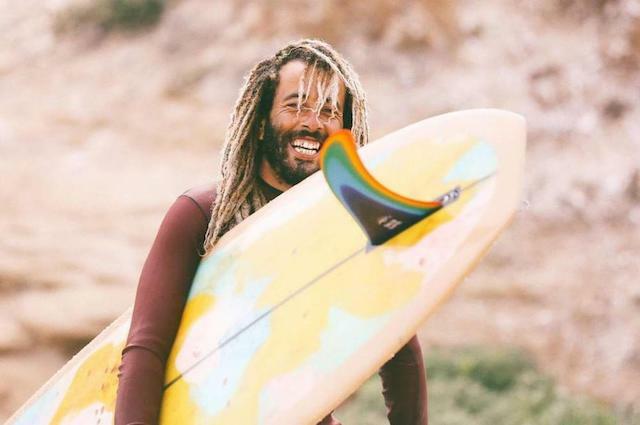 – a small fishing village that in the past 10 years has been transformed into a popular surfers’ resort with vegan restaurants and swank boutique hotels. 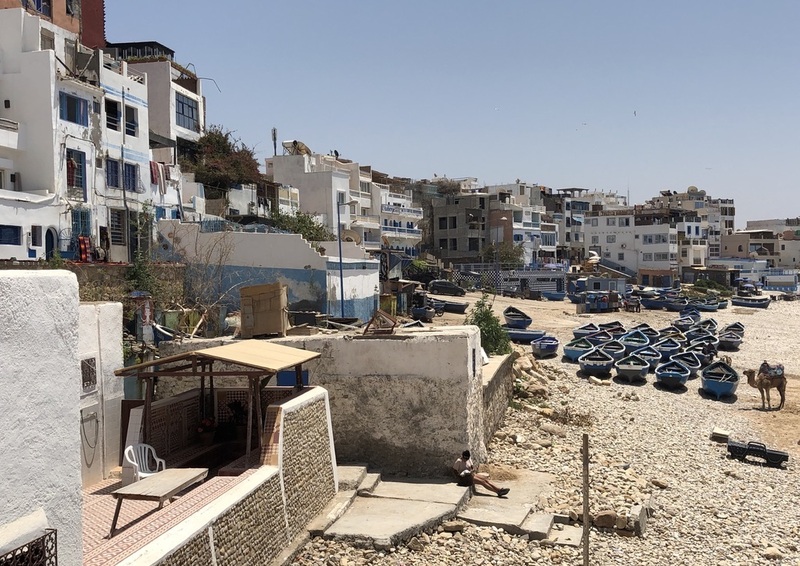 Despite its popularity and full-on construction along the coast, Taghazout successfully preserves its authentic look with traditional coastal structures, white-blue walls, narrow stairs, and bright blue fishing boats. 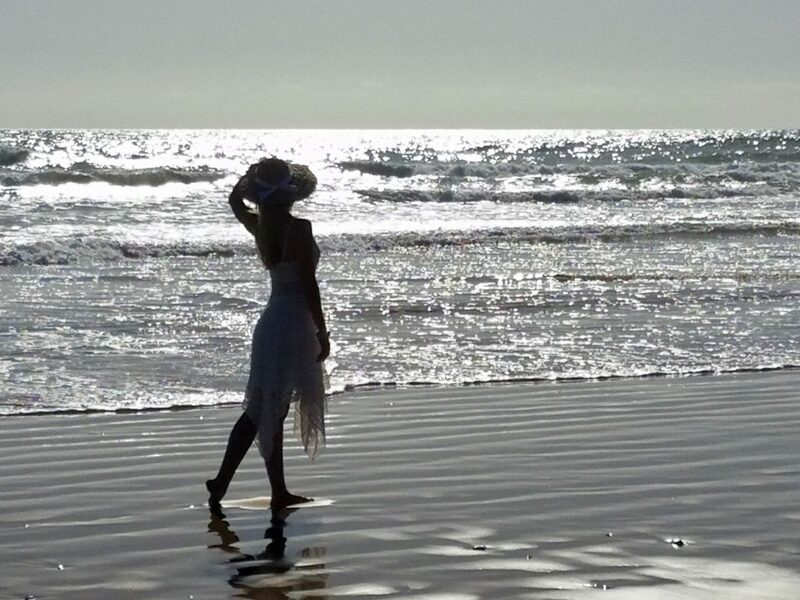 If you only have a few hours to spare, come by in the late afternoon when the whole village is bathed in magical warm light of the setting sun. 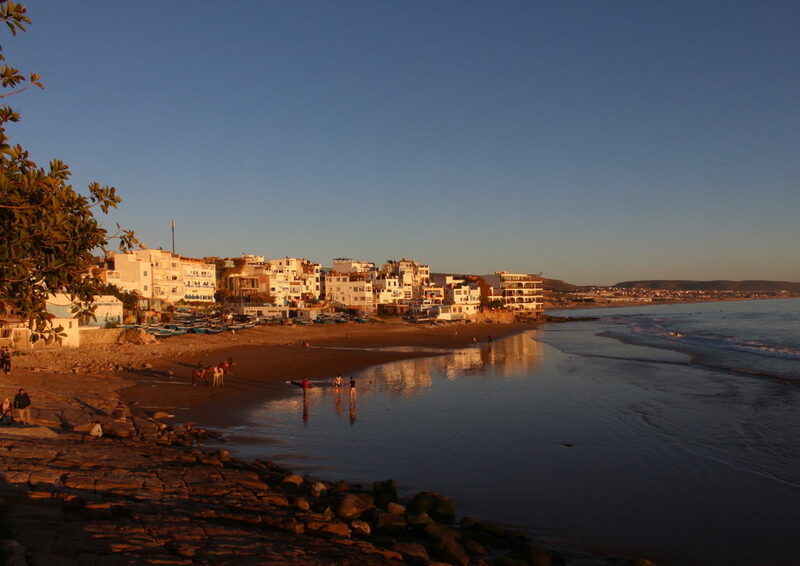 Taghazout is roughly 30 mins away from Agadir. 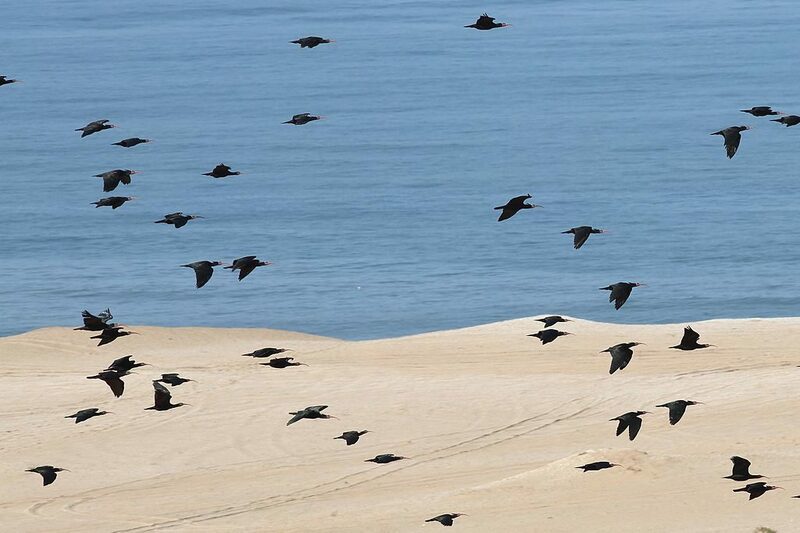 If you are not motorized, you can easily get there by taxi ($15-$20) or bus #32 or #33 ($1). If you have transport or time limitations, km 14 in Tamraght may be your best bet. 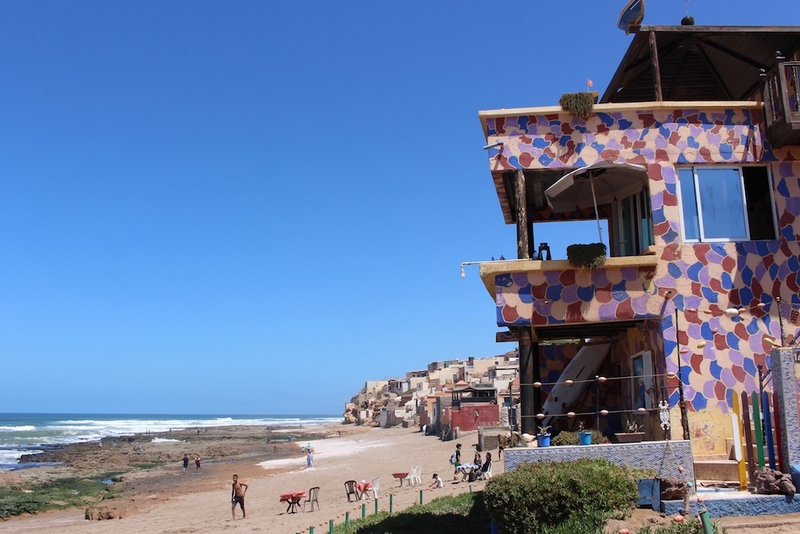 It’s even closer than Taghazout and can be reached by bus or grand taxi. 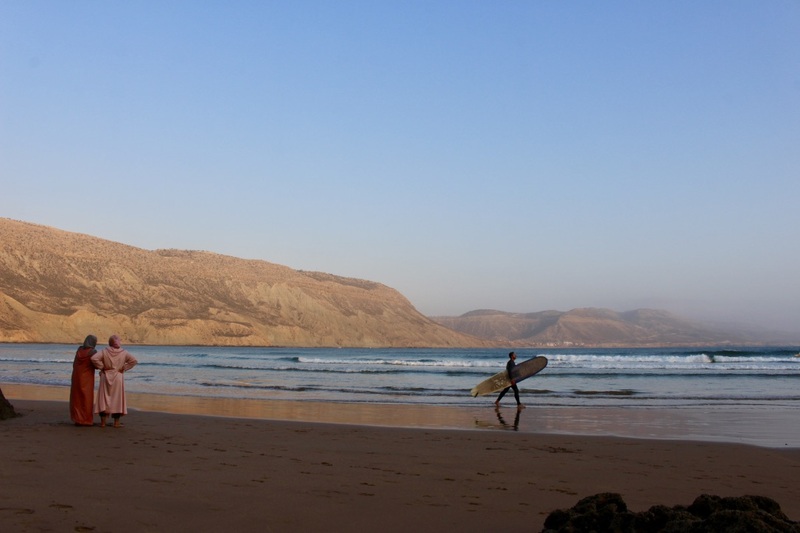 Km 14 is a cozy beach popular with locals and suffers. 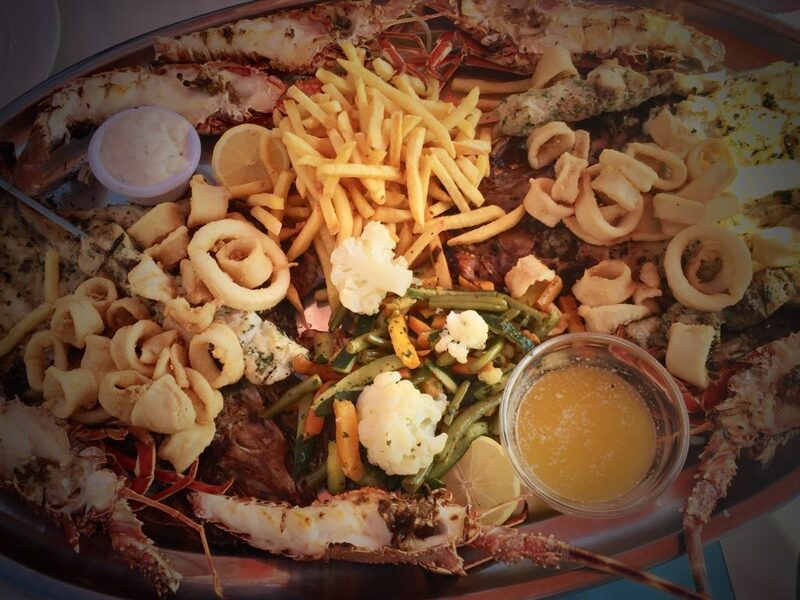 The waterfront restaurant, Chez Ibrahim, serves generous & delicious seafood platters and offers great views of the bay. 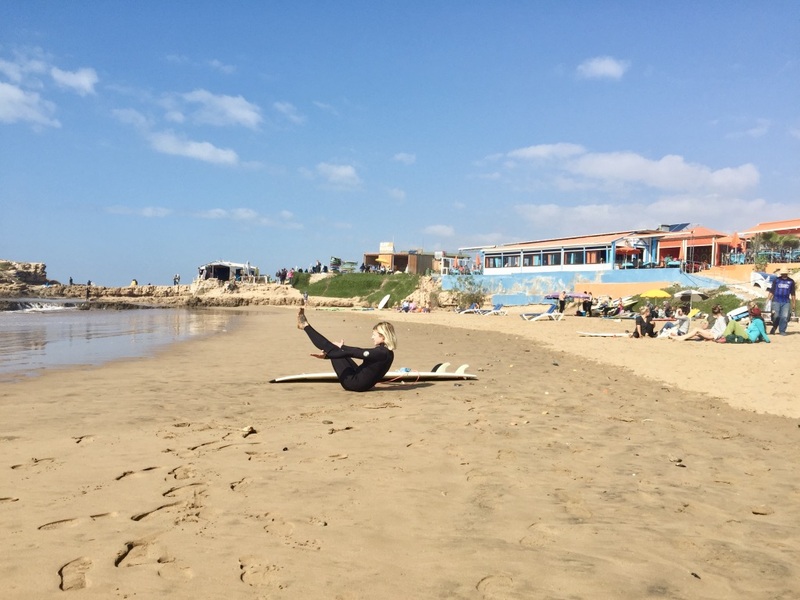 You can rent a board or get surfing lessons from the surf academy, which has a good program for kids. 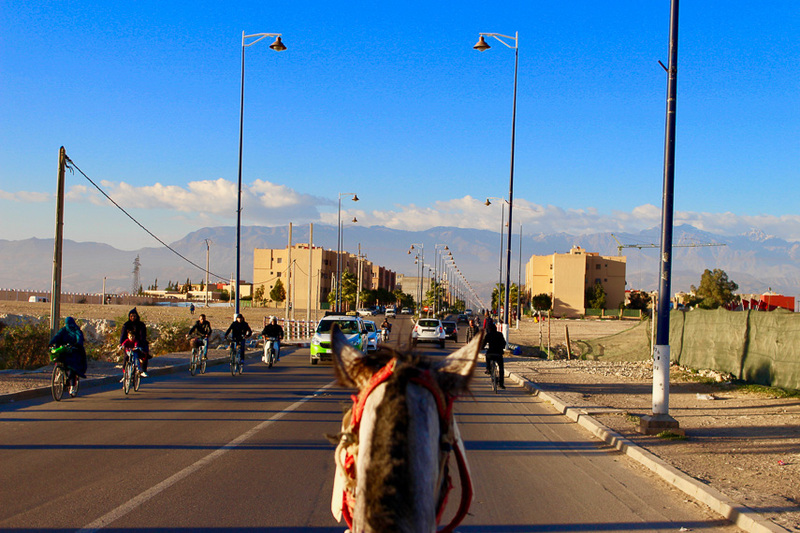 Tamraght is only a couple mins from the Banana Village (Aourir). 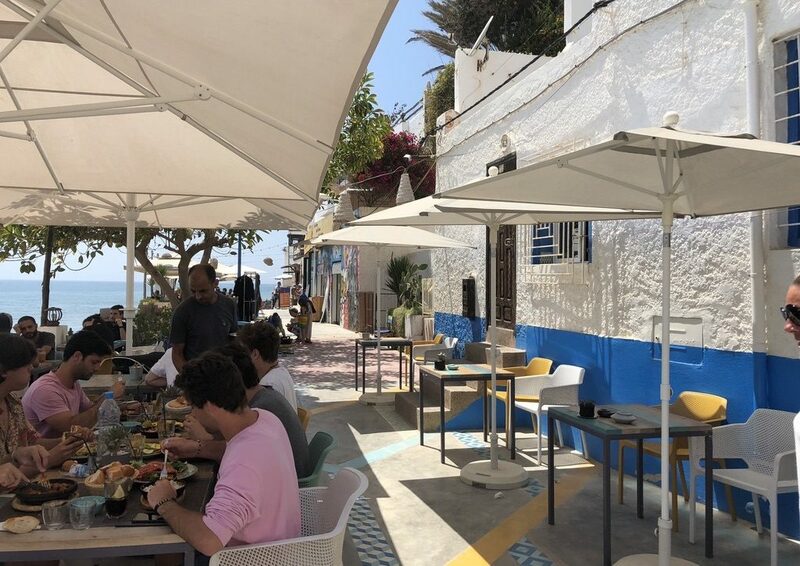 If you are still hungry, stop by in Tanit – a family style restaurant that serves most delicious tajines. 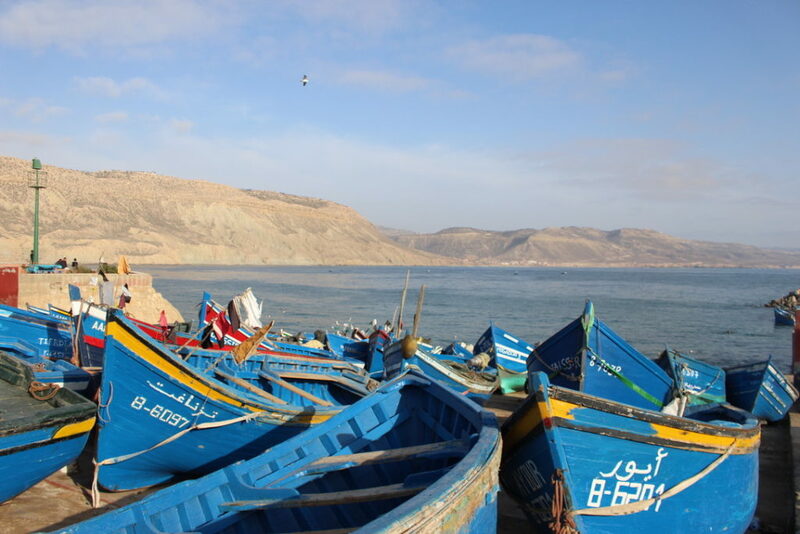 Tifnit is a tiny fishing village, which sits right in the midst of Souss Massa park. It is beautiful and surreal with pink seashell gravel, vermillion moss, pastel-colored houses and white dunes. 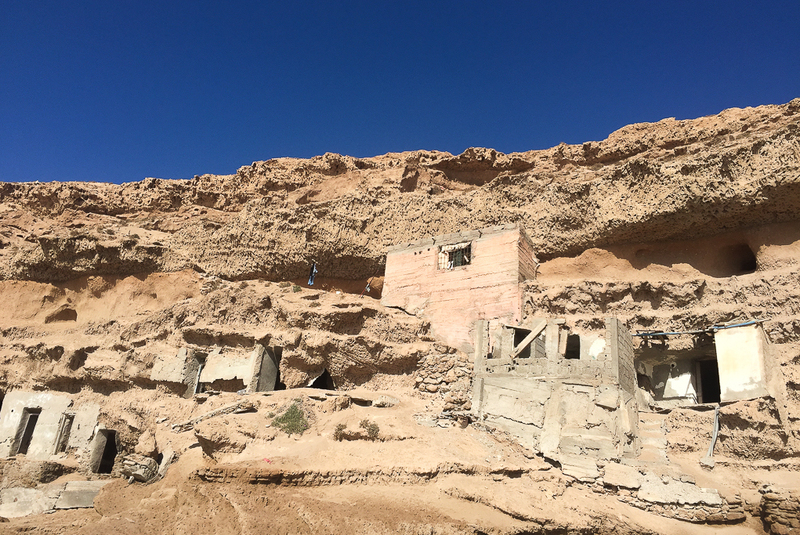 Another remarkable thing about Tifnit are troglodyte caves cut into the coastal cliffs only a few meters away from the ocean. Although most of them are abandoned, a few are still in use. And if you are feeling particularly adventurous, you can actually rent a cave on Airbnb. A trip by car takes only 45 mins. You can also take a bus ($0.5) or a grand taxi ($4) from Agadir to Inezgane and a taxi ($10-$15) from Inezgane to Tifnit. 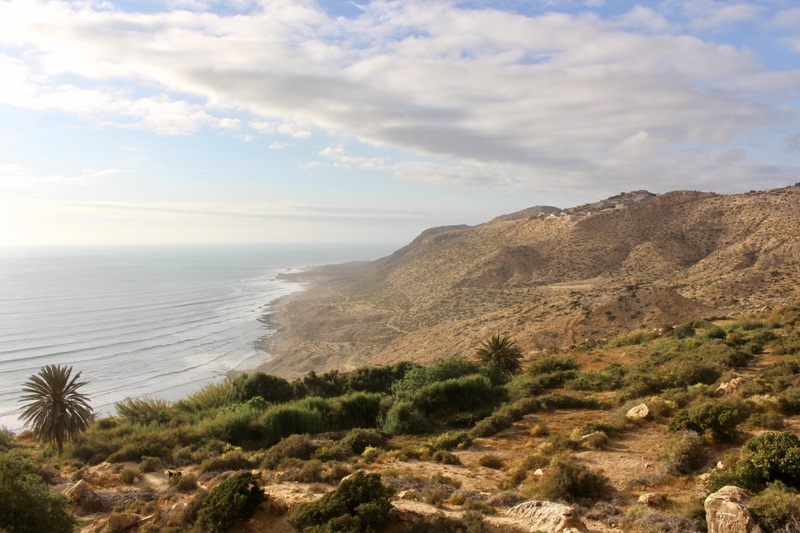 Souss-Massa is a national park on the Atlantic coast stretching between Agadir and Sidi Ifni. 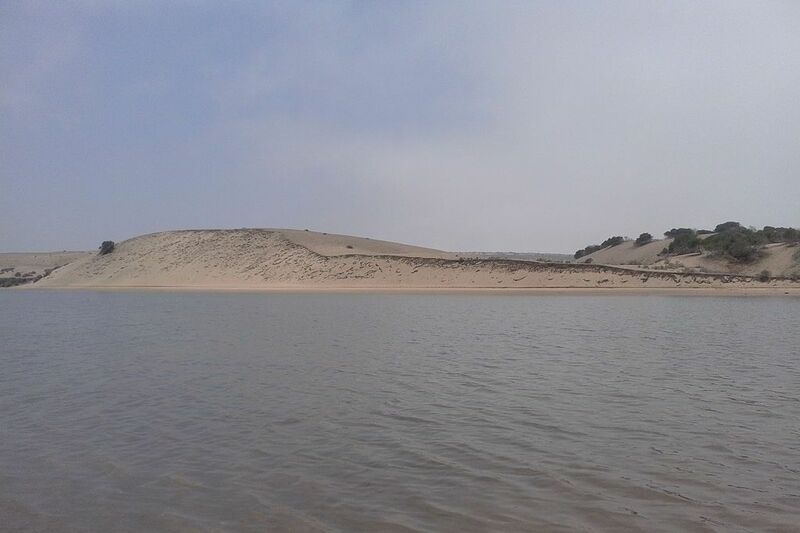 It’s a scenic and wild place with steppes, wetlands, sand dunes and spectacular ocean views. 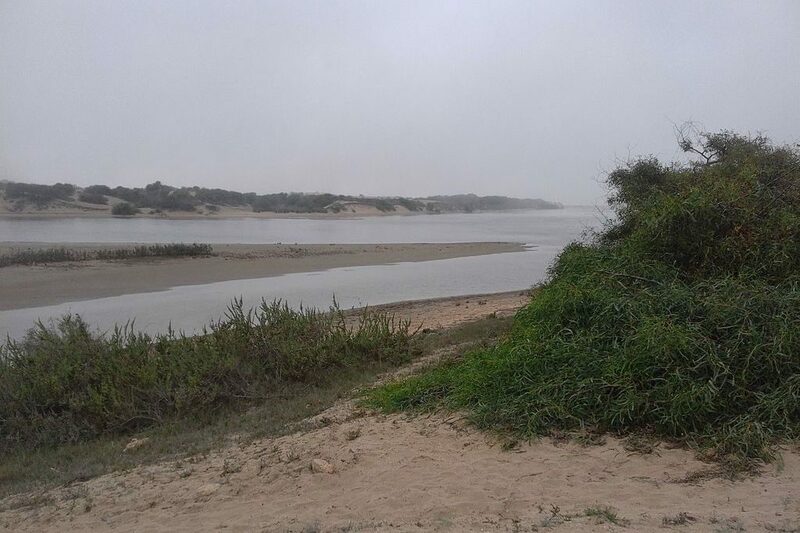 The park is a wildlife sanctuary for mammals, reptiles and many kinds of birds. It is best to come here in a 4×4, as many of the roads are just sand. 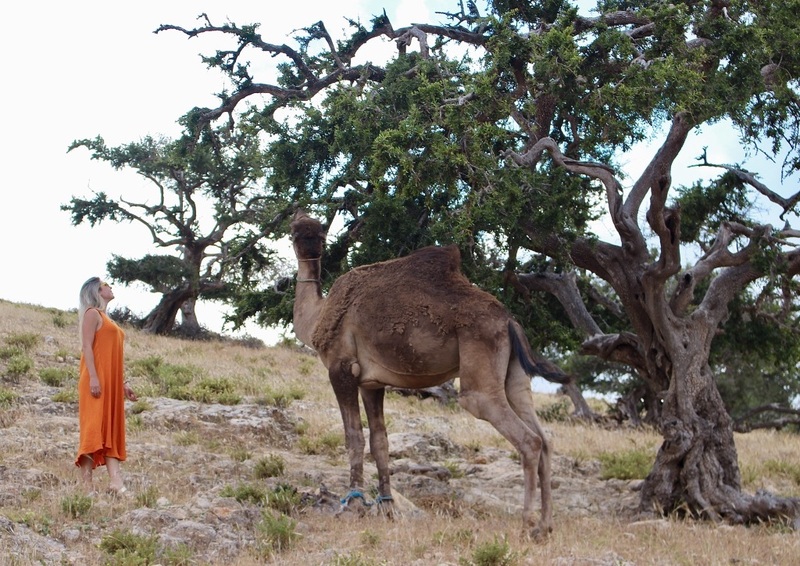 It’s also a good idea to hire a guide, so you can discover the hidden areas. Souss Massa park starts just outside Agadir. It is possible to go by bus or grand taxi to Inezgane and then take a taxi to Souss Massa, but it’s much less hassle to come by car. 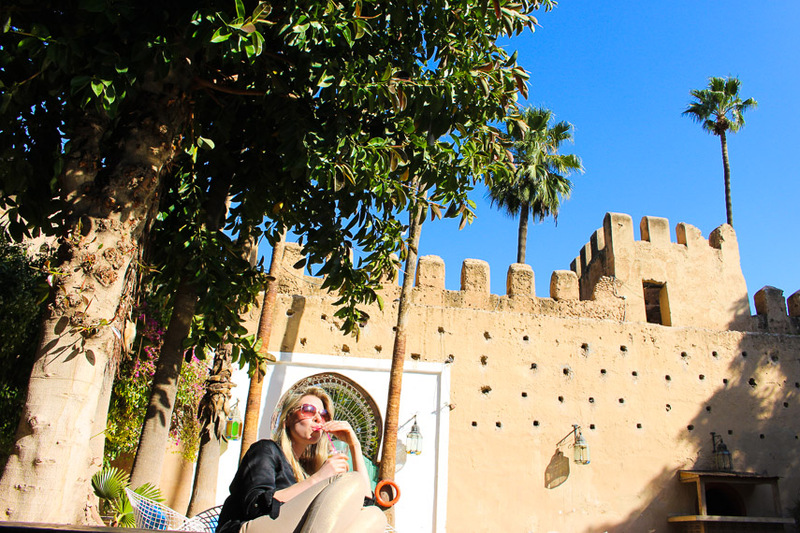 Taroudant is an ancient Moroccan town, which is encased almost entirely within remarkable ochre ramparts. 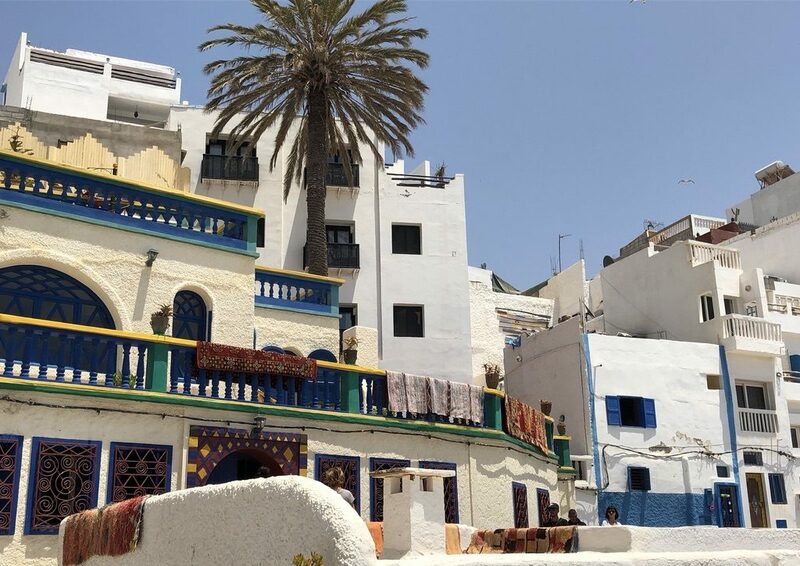 It looks like a traditional Moroccan market town but has a certain air of mystique about it. 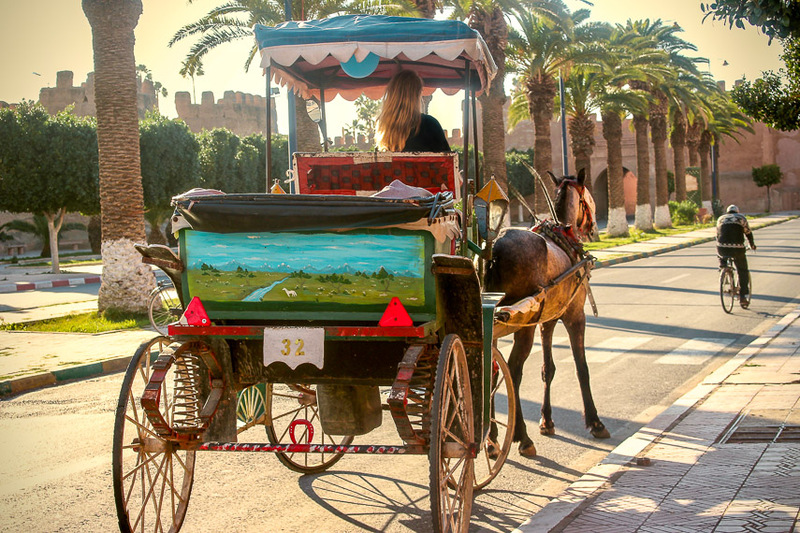 Taroudant is known for its arts and crafts and is a great place for shopping. 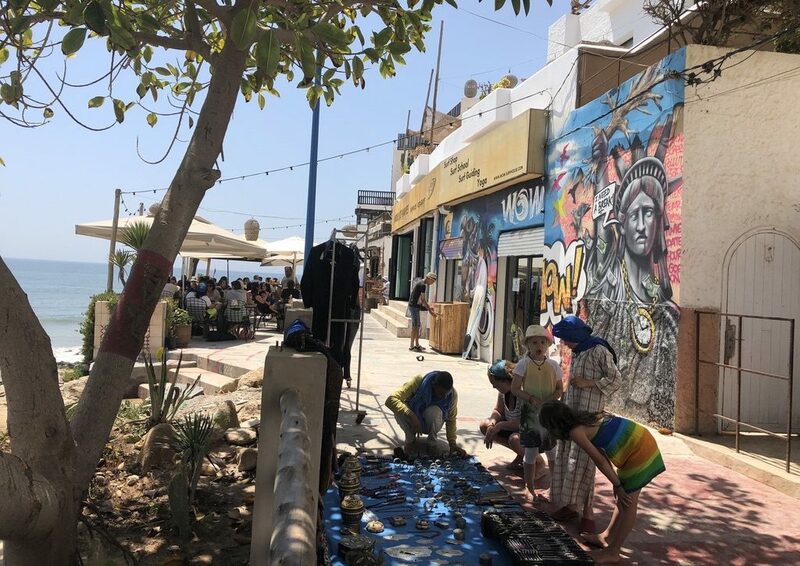 Its souk has a great variety of traditional items and souvenirs, including leather, argan products, funky shoes, carpets and beautiful jewelry. 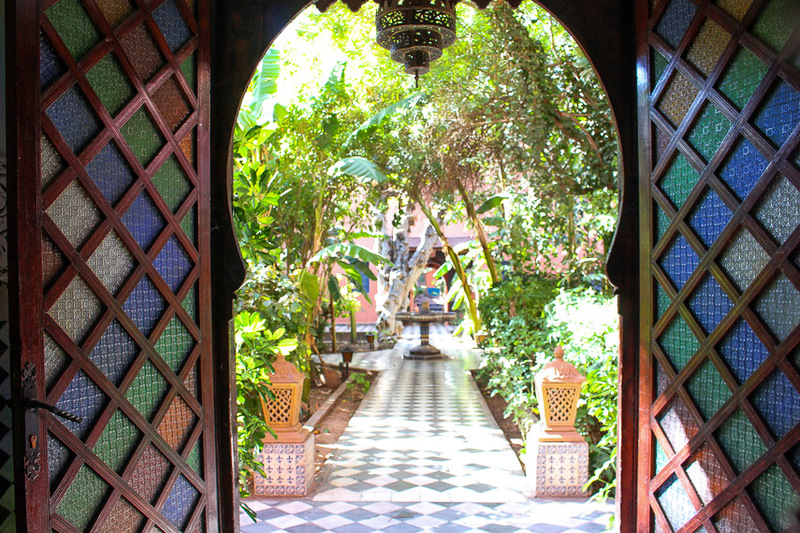 Pasha’s former palace and currently Hotel Salaam is also worth a visit. 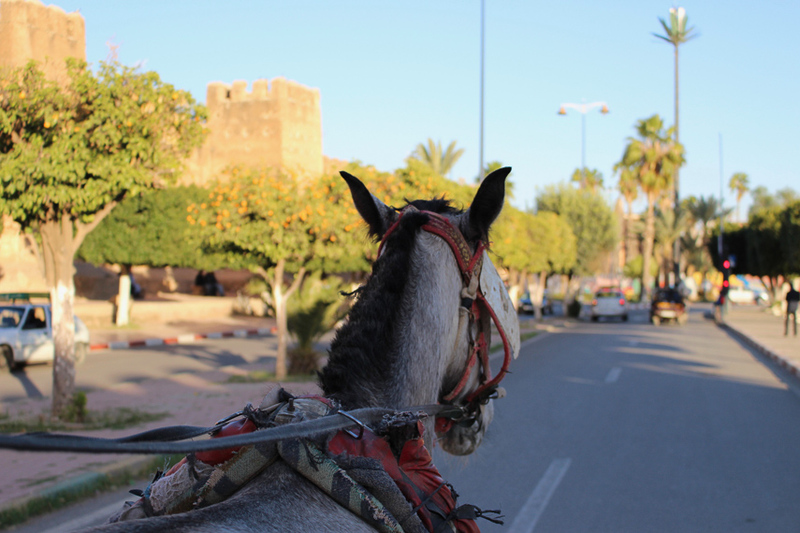 Several buses run between Agadir and Taroudant daily. The most comfortable is CTM ($5), which leaves from the central bus station twice a day. 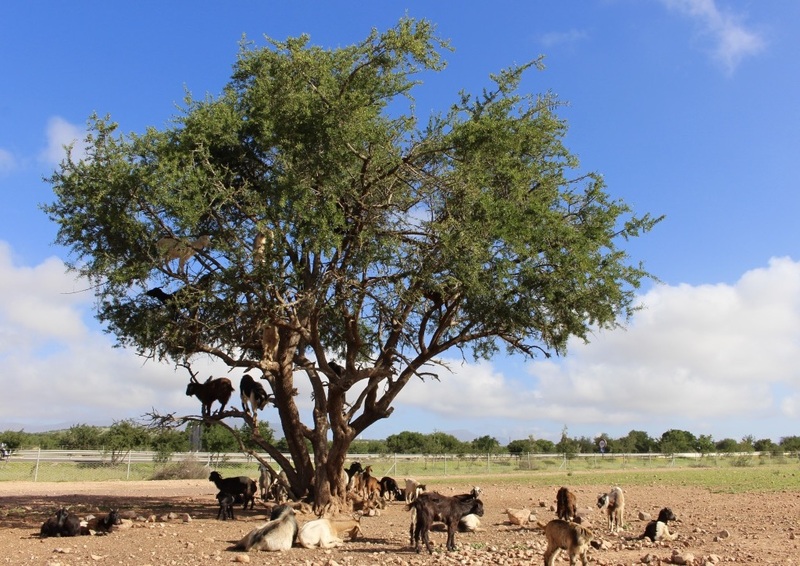 On the way to Taroudant, keep your eyes peeled for argan-eating goats. 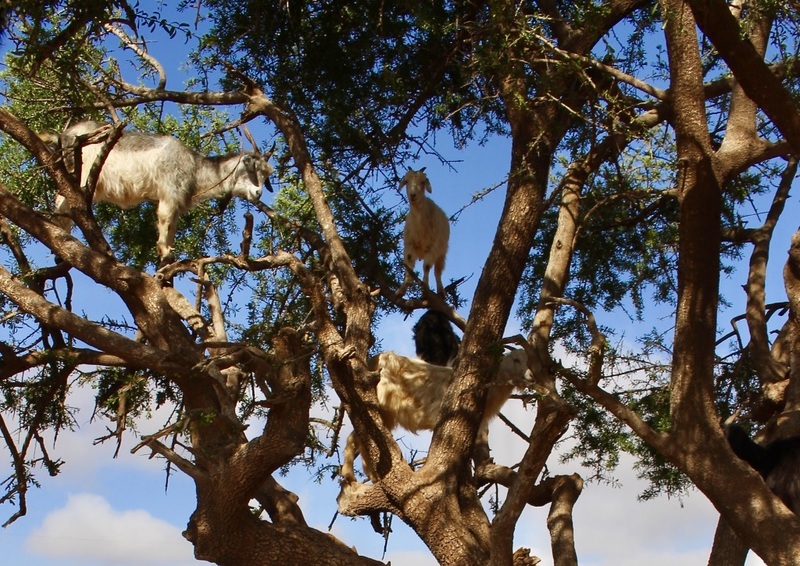 If you are lucky, you’ll see them perched up on argan trees along the road.